Pop Quiz – Win a Fabulous Prize! How many designated historic resources are located within the municipal boundaries of the Town of Fort Macleod? A scientist at which designated historic resource in Alberta captured the first North American photographs of the Sputnik I satellite? Which Edmonton resident garnered international acclaim for her pioneering work as a meteorologist? How many designated historic resources can be found on a road trip between Daysland and Hardisty? Which internationally-renowned inventor is the community of Nobleford named after and what was the invention for which he is best known? Be the first to submit correct answers and you will receive a prize package designed to help you discover Alberta’s historic places. Each month we will post a new quiz, so stay tuned! Among the fundamentalist groups from eastern Europe to seek a haven in western Canada in the early 20th century were the Doukhobors. Unlike most others, such as Mennonites and Hutterites, the Doukhobors were culturally Russian and dissenters from the Orthodox faith. Feeling persecuted under the regime of Tsar Nicholas II, about 7,400 of them sailed to Canada in the spring of 1898-99. Most moved on to Saskatchewan, where they were joined by their spiritual leader, Peter Verigin in 1902. Here, they were granted exemption from military service and allowed to educate their children in their own schools. They sought to obtain homesteads near Yorkton, but, since gaining title to homestead land meant signing an oath of loyalty to the British (and Canadian) Crown, many abandoned their incipient farms and moved on to the southern interior of British Columbia, where, in 1908, Verigin was able to purchase, on their behalf, sizeable tracts of land at Brilliant (near Castlegar) and near Grand Forks in the Kootnay district, just north of the Washington State border. The colonies eventually included about 6,000 members. They called themselves the Christian Community of the Universal Brotherhood. Because the colonies became so heavily populated, Verigin undertook to found other smaller colonies. One of these was begun in 1915 in the Cowley-Lundbreck district of southern Alberta, and initially included about 50 people. It was headed by Semeon Ivanovitch Verigin. Here, individual quarter-sections were purchased in relative proximity to each other. The spread-out colony was called “Bogatoi Rodnik,” or “Rich Spring,” and eventually totaled 13,500 acres with around 300 people. It became divided into 13 units, which featured grain elevators, flour mills, blacksmith shops and other buildings, including prayer homes. As a fundamentalist group, these people eschewed formalized churches. There was one dwelling at Cowley reserved for Peter “The Lordly” Verigin, for, although usually absent, he remained the spiritual and administrative leader of the colony, with each small commune within the colony electing its own local leader. One of the purposes of this colony was to supply flour and other grain products to the BC colonies which had become too heavily populated within their geographic parameters to sustain themselves agriculturally, with much of the hilly land there given over to ranching, fruit growing and lumbering. Besides, being vegetarians, the Doukhobors required more than the normal amount of non-meat produce. As the Cowley-Lundbreck Colony was located on the southern branch of the CPR, it was easier, and cheaper, to ship produce from there to Brilliant and Grand Forks than from the larger prairie colony of Verigin near Yorkton, Saskatchewan. In return for the produce, fruit and lumber were sent from the BC colonies to Bogatoi Rodnik. In 1924, Peter the Lordly Verigin was assassinated by a time-bomb which exploded in a train near Grande Forks, killing nine other passengers as well. His son, Peter Petrovitch Verigin, who was living in Russia, was sent for to assume the position of leader. However, another charismatic figure in Brilliant, Anastasia Holoboff, known as Anastasia Lords, a “close companion of the late leader,” let it be known that she had been specially tutored by Peter the Lordly to be his successor. A rift then formed within the community. Most Doukhobors, including those around Cowley and Lundreck, accepted Peter Petrovitch, but, in 1926, a group under Anastasia broke away and formed a new colony in the district of Shouldice, Alberta. Due to financial straits and the loss of young people to mainstream society, the colony around Lundbreck continued to decline in the 1930s and 1940s. Those who stayed began to work as private farmers. 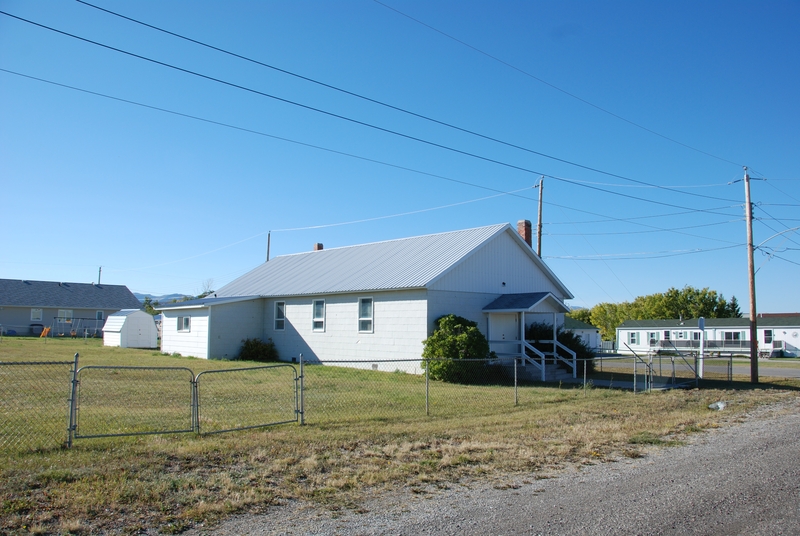 In 1953, they erected a central prayer home which remains standing as a symbol of the Doukhobor faith as it persisted in southern Alberta during the mid and latter 20th century. In March 2010, the Hall was designated a Provincial Historic Resource. Visit the Alberta Register of Historic Places to learn more about the heritage value of the Doukhobor Prayer Home in Lundbreck. In order for a site to be designated a Provincial Historic Resource, it must possess province-wide significance. To properly assess the historic importance of a resource, a historian crafts a context document that situates a resource within its time and place and compares it to similar resources in other parts of the province. This allows staff to determine the importance of a resource to a particular theme, time, and place. Above, is some of the historical information used in the evaluation of the Doukhobor Prayer Home. In 1918, the Dominion government set up a Soldiers Settlement Board in order to secure employment for some of the vast number of soldiers expected to enter the workforce following their service in World War I. Through the Board, many veterans were encouraged to settle on the Battle River Prairie, about 75km north of Peace River. By 1921, the district had an estimated population of 500, while a tiny community called Battle River Prairie emerged off the Notikewin (formerly Battle) River. In 1924, the store and post office was re-named Notikewin and moved to the site of present day Notikewin, some 8km to the north. For supplies, most of the first settlers on the Prairie used the facilities at Peace River. Commercial transportation on the River was common, while winter roads were opened for horse-drawn sleighs. One major concern, however, was medical. By the Public Health Nurses Act of 1919, visits were made by registered nurses with mobile clinics, but these could not accommodate emergency situations. Throughout the 1920s, therefore, a demand began to grow for a regular physician to be assigned to some point on the Prairie. In 1928, the provincial government decided to sponsor a permanent nurse for the district, with Mary Little moving to Notikewin. In 1929, she was replaced by Dr. Mary Percy who was recruited from England. In 1931, Mary Percy married Frank Jackson and moved to Keg River. Several other nurses then followed until 1936, when Dr. Arthur Doidge became the first resident physician for the area. The early 1930s had seen a continuing influx of settlers to the Prairie, many coming from the drought areas of southeastern Alberta. As a result, there was growing pressure for a hospital. Much of this came from the Women’s Missionary Society of the United Church of Canada, which began to collect promissory funds for a hospital in the area. The government agreed to contribute the same amount as the WMS and appoint a physician if the WMS would build the hospital. With support coming throughout the Prairie, sufficient funds were finally in place by the spring of 1936 to begin work on a facility large enough to serve the entire Prairie. RETROactive is all about Alberta’s historic places. But what is a historic place: is it a home, a commercial building, a church or a baseball diamond? Could planes, trains or automobiles be historic places? The Standards and Guidelines for the Conservation of Historic Places in Canada defines a historic place as, “a structure, building, group of buildings, district, landscape, archaeological site or other place in Canada that has been formally recognized for its heritage value.” Does this mean any place in Alberta could be a historic place? Theme / Activity / Cultural Practice / Event – a place directly associated with a theme, activity, cultural practice or event that has made a significant contribution to the broad pattern of provincial or municipal history. Institution / Person – a place directly associated with a significant institution or with the life of a significant person in the province’s or municipality’s past. Design / Style / Construction – a place displaying distinctive characteristics of a type, style, period or method of construction, or representing the work of a master, or expressing high artistic values. Information Potential – a place yielding, or likely to yield, information important to a municipality’s or the province’s history, prehistory or natural history. Landmark / Symbolic Value – a place particularly prominent or conspicuous, and that has acquired special visual, sentimental or symbolic value that transcends its function. A landmark contributes to the distinctive character of the province or municipality. Note: The Historical Resources Act limits Municipal Historic Resource designation to real property. This means that while the province can designate a plane, train or an automobile, municipalities may only designate land and “immovables” (meaning buildings and other things permanently affixed to land). For additional information please see: Evaluating Historic Places and Designating Municipal Historic Resources. Hangar #14 is significant, “as a rare surviving Canadian example of hangar design from the World War Two period and as a symbol of Canada’s wartime experience.” It is also significant, “for its association with Wilfred R. May, one of Edmonton’s most significant aviation figures and the 418 City of Edmonton Squadron.” Hangar #14 is designated as both a Municipal Historic Resource and a Provincial Historic Resource. The 6060 Locomotive (pictured above) is significant, “as an excellent representation of a late-era steam locomotive.” The engine currently services the Alberta Prairie Railway Excursions line, which runs between Stettler and Big Valley. It is designated as a Provincial Historic Resource. Do you have any suggestions? 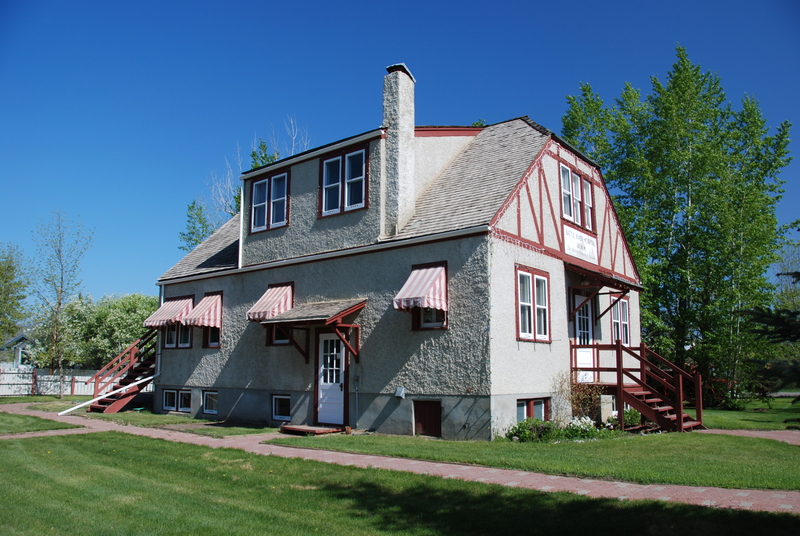 Approximately 700 historic places are listed on the Alberta Register of Historic Places. Search the register to discover one that is associated with automobiles. Let us know what you find by submitting a comment at the bottom of this post. The Forestburg Masonic Temple is the newest Municipal Historic Resource listed on the Alberta Register of Historic Places. Constructed in 1921, the Village of Forestburg values this place for its historic use as the meeting place for the Masonic Order and as a community hall. 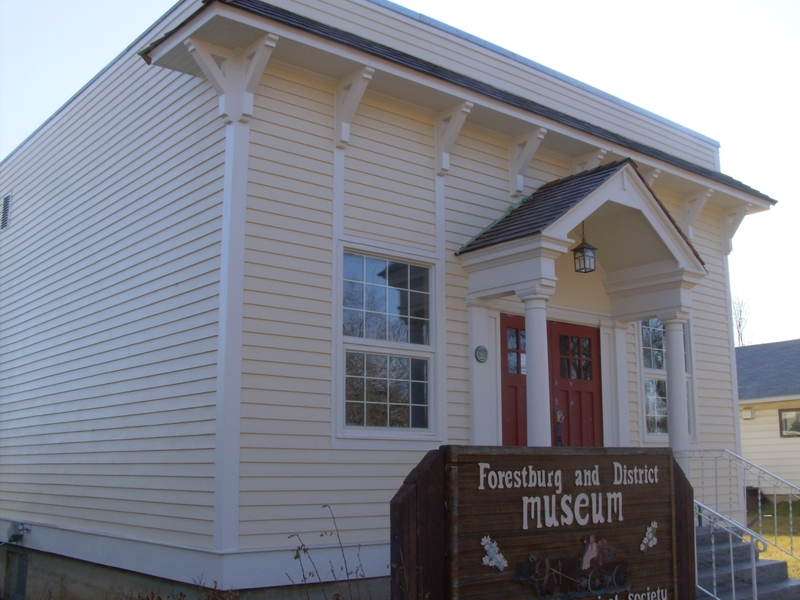 The hall is the Village of Forestburg’s first Municipal Historic Resource. This listing contains an example of a Statement of Significance for a site that is valued as for its historic use. When the Montana cattle industry began to thrive in the aftermath of the American civil war, and the extension of railways to the western states, many cattle barons began to extend their activity north of the 49th Parallel. Sensitive to the encroachment of American influence in western Canada, the Dominion government took several measures to ensure the “Canadianization” of this region. A Department of the Interior was formed to oversee developments on the central prairies, a North-west Mounted Police force was formed to establish law and order, and a Dominion Lands Act was passed to see to the orderly disposition of Crown lands to British subjects, or those who would agree to become British subjects. Plans were also put in place to extend a transcontinental railway through the region. Another measure taken by the government to ensure the loyalty of the region to Canada was to encourage a ranching industry in the western foothills, with capital to be provided by eastern Canadian and British entrepreneurs. For such Canadian or British cattle companies, vast tracts of land would be set aside as grazing leases. By the early 1880’s, much of the southern foothills of what was to become Alberta was therefore given over to a few major cattle companies, including the Cochrane, Winder, Walrond, Northwest, Quorn, Stewart and Stinson Ranches. Their success depended to a great extent on the arrival of the CPR, which reached the site of Fort Calgary in 1883. Another major ranching operation was founded in 1882 by Alexander Staveley Hill, a Conservative Member of the British House of Commons, backed by Lord Lathan. This was the Oxley Ranch, which came to base its operation on two vast tracts in the districts of present day Champion and Staveley, north of Fort Macleod. This ranch flourished throughout most of the 1880’s and 1890’s, and, during much of this time, its success appears to have been due to the efficient management of John Roderick Craig. An added benefit was the extension of the Calgary & Edmonton Railway from Calgary to Fort Macleod in 1892, which eliminated the necessity of making long cattle drives to Calgary. By the end of the decade however, changes were in the air. In order to provide a greater population base in western Canada, the new Liberal government of Sir Wilfrid Laurier began to curtail the predominance of many of the large ranches by not renewing the grazing leases on much of the range land. The idea was to encourage smaller independent farms and ranches, which would specialize in mixed farming. During the early 20th century, many of the large ranches went out of business, while others saw their scope of operation severely curtailed, including the Oxley Ranch. During its heyday, the western portion of the Oxley Ranch had based its operation from headquarters on NE14 TP13 R28 W4. On this site today there is a log house which was, no doubt, part of the Oxley Ranch operation at some point, and possibly the home of its manager, John Craig. It is located next to a trail that extended from Fort Macleod to Calgary, but which went out of use after the C & E Railway to the east saw the center of activity also shift, when railway communities like Claresholm and Staveley emerged. Near the house is a wood frame barn on a large concrete foundation built into a hillside which could also have been part of the Oxley Ranch. The buildings are also spoken of as having been part of a North-west Mounted Police detachment, which existed in the district in the late 1880’s, but was moved to Claresholm shortly after the railway came through. The Oxley Ranch buildings provide structural evidence of one of the biggest ranching operations in the southern Alberta foothills, prior to 1900. They tell of both social and commercial activities of the ranch, and of the southern Alberta cattle industry in general during this time. The buildings are also important in being close to the original cattle trail between Fort Macleod and Calgary, which was the major thoroughfare between these two centers prior to the coming of the railway in 1892. In November 2006, they were designated a Provincial Historic Resource. Visit the Alberta Register of Historic Places to learn more about the heritage value of the Leavings at Willow Creek (Oxley Ranch), near Claresholm. In order for a site to be designated a Provincial Historic Resource, it must possess province-wide significance. To properly assess the historic importance of a resource, a historian crafts a context document that situates a resource within its time and place and compares it to similar resources in other parts of the province. This allows staff to determine the importance of a resource to a particular theme, time, and place. Above, is some of the historical information used in the evaluation of the Leavings at Willow Creek. 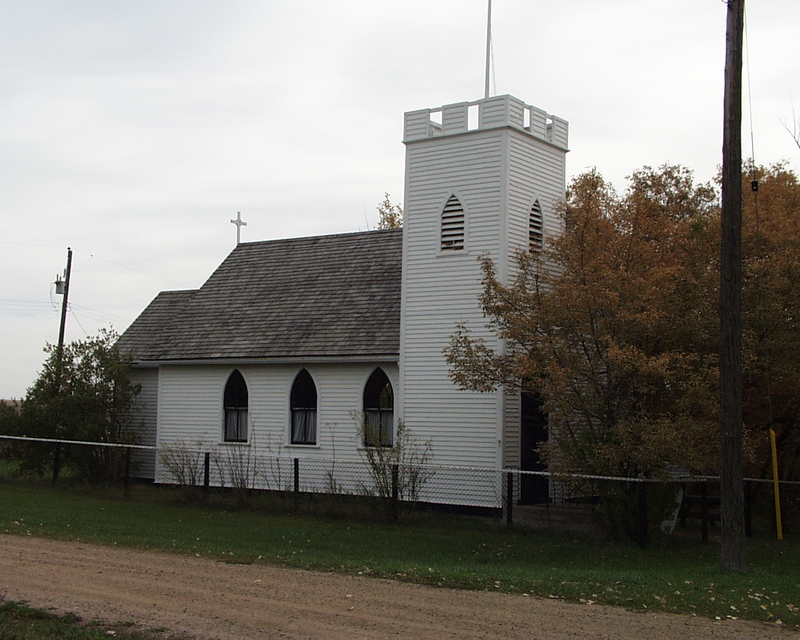 The St. Laurence Anglican Church, which was built in the Hamlet of Monitor in 1915. This wood-framed church is valued for its use as an Anglican Church and its association with the foundation and development of the local community. 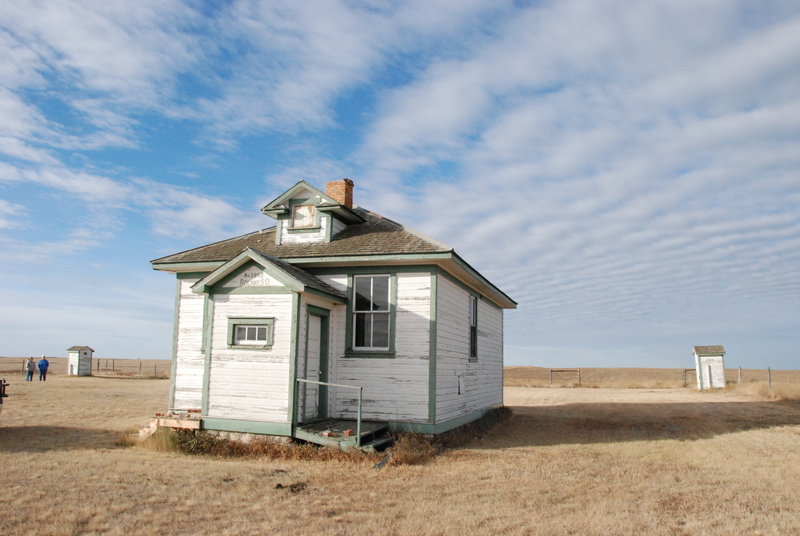 The Roland School, a one room school located south of the Village of Consort. The community values it for its use, first as a public school between 1913 and 1933 and subsequently as a community hall. The New Brigden Water Tower, which was constructed by the Canadian National Railway in 1925 as the company installed a branch line through the area. 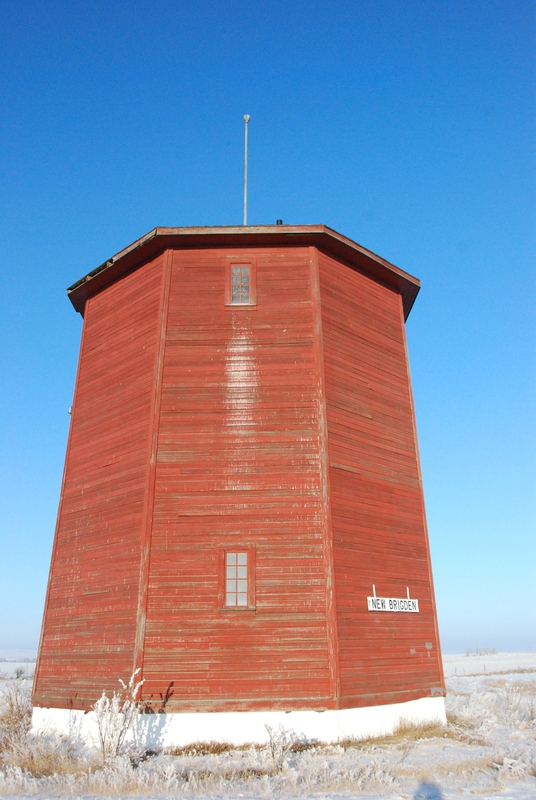 The tower is valued for being a landmark in the Hamlet of New Brigden. The Historical Resources Act enables Alberta’s municipalities to conserve their significant places. By designating a site a Municipal Historic Resource, municipalities can protect their special places from unsympathetic alterations. Since 2006, when the Municipal Heritage Partnership Program was established, Alberta’s municipalities have designated almost a hundred Municipal Historic Resources. The variety of historic places that our communities are preserving illustrates the variety of ways Albertans have lived their lives. The above three sites are just a small sample of the 165 Municipal Historic Resources currently listed on the Alberta Register of Historic Places. We encourage you to explore the register to learn more about Alberta’s provincially and municipally designated historic places. Perhaps one of the listings will inspire you to look at a place in your community in a new way.